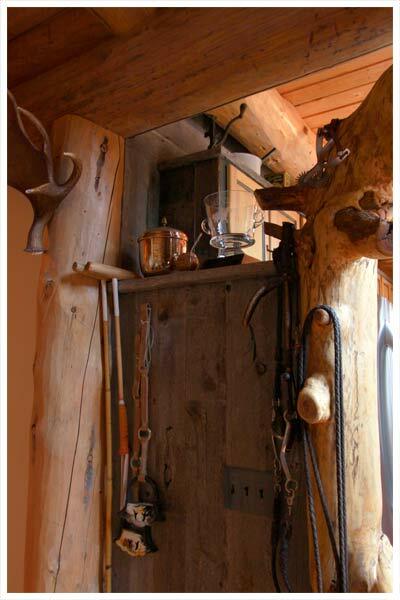 Wyoming Shangri-La Ranch Near Jackson Hole, Wyoming, is a spectacular secluded log home with guest house and outbuildings on 18.9 acres. 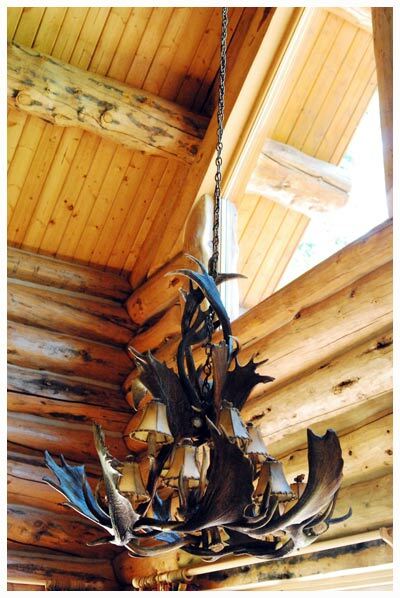 This incredible Property is For Sale near the Tetons and Yellowstone. This is truly a recreational paradise for those who desire unparalleled privacy and western luxury without compromising amenities and close airport access. An incredible 18.9 acre property situated on your own private hilltop with priceless views, it directly borders Targhee National Forest with trails and entry right out the door. Its location is just minutes from the Salt, Snake, and Grey's Rivers confluence for unmatched fishing and river sports. Numerous dedicated x-country ski trails and miles of snowmobiling provide winter fun. 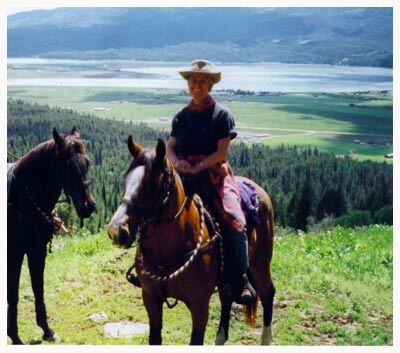 Enjoy horseback riding in the National Forest, which directly borders the entire back of the property, or boating on the nearby Palisades Reservoir in the spring, summer and fall. Minutes away is a semi-private airport for quick in-and-out trips. Jackson Hole is only a 30 mile drive on excellent paved highway. A serene setting, the three bedroom log cabin rests on an expansive grassy lawn, with westerly views over the valley and reservoir below. Recently remodeled, its large hand-peeled logs offer comfort year round. A two story river rock fireplace is the centerpiece of the great room, whose vaulted ceilings and windows allow the views and natural light to enter its interior spaces. Forced air heat, granite countertops, and hardwood floors are additional amenities in the custom main cabin. A brand new twelve inch thick cold roof and heated copper gutters ensure energy efficiency and snow control. As part of the three building enclave, there is a detached three-stall heated log garage with FINISHED STUDIO APARTMENT above with it's own gas fireplace, bathroom and breathtaking views. The studio apartment / guest house is also perfect for a music recording studio or writer's retreat. There is also a 2400 square foot (40 x 60) barn with extra tall middle door to store all of your toys or board your horses. The cabin is surrounded by landscaped grassy lawn on a level site. In the foreground, overlooking the valley and reservoir below, is a stone patio with BBQ and fire pit. To the south of the cabin is a waterfall that tumbles into a small pond—a feature that attracts moose in the summer. Numerous wildflower gardens surround the buildings and an underground sprinkler system keeps everything green and growing. There is a dedicated 100 gallon/minute well for the property. The acreage can be subdivided into two acre parcels, or kept intact as a private recreational retreat. With so many possibilities for the purchaser, it is unlike anything else in the area. Fish the nearby Grey, Salt and Snake Rivers for trophy trout.